Writing a time-slip novel: how hard can it be? “in A Shape on the Air the (time-slip) switches feel natural and not contrived”. Thank you all for reading my book and taking the time to review it! Writing a time-slip novel? Well, all you have to do is tell the story of someone from the present day finding herself in a different time, easy, right? Wrong! In fact it’s very difficult. There are all sorts of issues you have to work out. Why would this person suddenly fall into another period? How would she do it? What would be the trigger? If she could do it, why couldn’t everyone else? What makes her have this unique ability? I love reading time-slip; I’m especially keen on Pamela Hartshorne’s novels of time-slip into the Tudor age in York (Time’s Echo, House of Shadows). They’re intriguing and exciting. I’m fascinated by theories of time and the whole concept of what time actually means? All these weird and wonderful theories: quantum mechanics, the Einstein-Bridge theory of portals and worm-holes! I’ve wanted to write a time-slip story of my own for a long time, but in my case one set in the early medieval times because that’s the period I know best and am most interested in. But working it all out resulted in many a restless night, loss of hair and bitten fingernails! I wanted the tone and atmosphere to be a little spooky but still feel realistic and convincing (which isn’t easy if you’re writing about what we normally think of as ghosts). In the end I found writing the ghostly parts the easiest and the mechanics of the time-slip the most difficult. It seemed to me that my main character, Viv, needed to be someone that anybody could identify with, someone pretty ‘normal’, but make her have a traumatic event in her life which might make her vulnerable and more susceptible to the paranormal. I made her an academic who deals with facts not fantasies, and gave her an awful partner in Pete who announces that he’s leaving her for her best friend – goodness, that would send anyone off balance! – and made her lovely home and the life she knew be at risk. I also made her drink rather a lot of red wine (understandable in the circumstances!) and go for a walk beside a lake! I then had to make someone in a responsible job commanding authority and respect, empathise and become involved with her strange experience. Who might believe her? Someone whose job is connected with other-worldly things but could be a ‘pillar of society’? It had to be a vicar. So Rev Rory was born. And so was the love interest. If you’re out of the UK, it’s available at myBook.to/ASOTA which will take you to your local Amazon site. Unlocking a love that lasts for lifetimes … and beyond? When Viv, a medievalist and lecturer slips into 499 AD and into the body of Lady Vivianne, little does she realise that both their lives will become intertwined as they fight for their dreams … and their lives. Can the key which Viv brings back with her to the present unlock the loves they both crave, and help them through the dangers they both face? And can they help each other across the centuries? I’ve loved writing this novel and so much of my understanding of and my delight in the early medieval world has gone into it. I first learned about medieval language, literature and history at university where we learned Anglo-Saxon in the language lab as though it was a living language like French, German or Spanish. This book is set partially in 499 AD, so at the end of the Dark Ages following the Roman withdrawal from England, and at the cusp of the Anglo-Saxon emergence. It’s a time that we still know little about, but new excavations and artifacts are allowing us a bit more of an insight into the times. I do hope that you enjoy it. Let me know – here, on Amazon and/or on Goodreads! All the best. Gorgeous cover revealed! A Shape on the Air on pre-order and cover reveal blog tour NOW! My new medieval time-slip romance is available for pre-order (for 28th July) right now on Amazon.co.uk, Amazon.com, Amazon.fr, Amazon.de and all Amazon sites. …….. Two women 1500 years apart. One need: to save the world they know. Can they help each other to achieve their greatest desire? And what if that world they want is not the one that’s best for them? University lecturer in medieval studies, Dr Viv Dulac, is devastated when her partner walks out (and with her best friend too!) and threatens her home. Drunk and desperate, her world quite literally turns upside down and she finds herself in the body of the fifth century Lady Vivianne, who is struggling with the shifting values of the Dark Ages and her forced betrothal to the brutish Sir Pelleas who is implicated in the death of her parents. Haunted by both Lady Vivianne and by Viv’s own parents’ death and legacy, can Viv unravel the web of mystery that surrounds and connects their two lives, and bring peace to them both? A haunting story of lives intertwining across the ages, of the triumph of the human spirit and of dreams lost and found. So exciting – A Shape on the Air, my new novel is soon to be published. June is getting closer! I’m busy organising a cover reveal and a book blog tour. What’s it about? It’s a historical (dark ages) time slip romance. Two women 1500 years apart. One need: to save the world they know. Can they help each other to achieve their greatest desire? And what if that world they want is not the one that’s best for them? University lecturer in medieval studies, Dr Viv Dulac, is devastated when her partner walks out (and with her best friend too!) and threatens her home. Drunk and desperate, her world quite literally turns upside down and she finds herself in the body of the fifth century Lady Vivianne, who is struggling with the shifting values of the Dark Ages and her forced betrothal to the brutish Sir Pelleas who is implicated in the death of her parents. 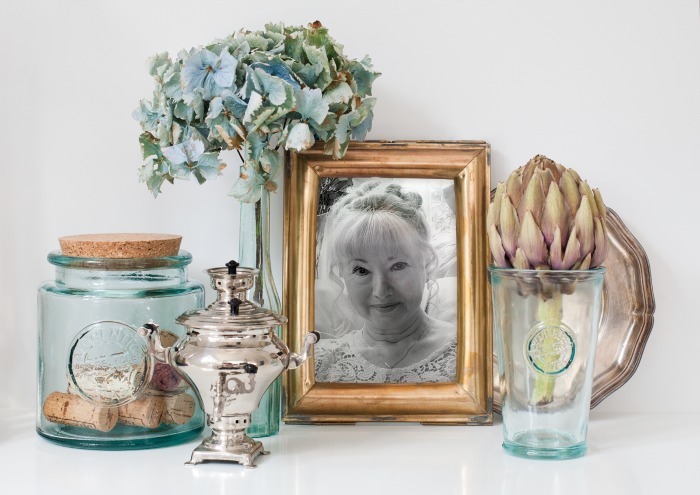 Haunted by both Lady Vivianne and by Viv’s own parents’ death and legacy, can Viv unravel the web of mystery that surrounds and connects their two lives, and bring peace to them both? A haunting story of lives intertwining across the ages, of the triumph of the human spirit and of dreams lost and found. Firstly my apologies that I haven’t posted for so long! We have finally moved house (what an exhausting procedure) having had our previous house on the market for over 2.5 years! And a serious health scare did not help! Nor did the nearly 2 months we were without broadband (thanks, BT!). However, here we are now in our new home and settling in well in the village, with friends old and new. 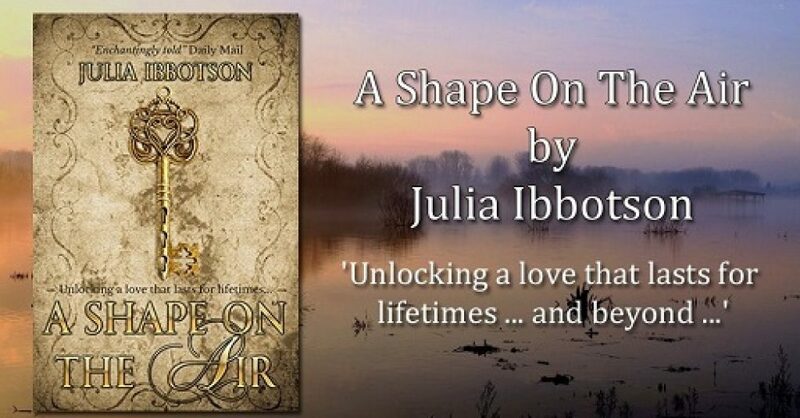 Other great news: I have an offer of a publishing contract for my new novel A Shape on the Air! The contract is sitting on my desk as I speak, waiting for me to sign. Very exciting. Not only that, but another publisher has told me that they will contact me by Monday! So I have to sit it out until Monday to see what will happen. Wonderful that I have a publisher anyway, whatever happens – so celebrations all round! And a final apology to anyone who has tried to send me a message via my Contact Me page on this website – there is a problem and emails have not been getting through to me I’m afraid and currently it seems to be being passed backwards and forwards between BT.com and WordPress! Let’s hope they sort it out soon, hey? ! Competition time! Win an ebook! 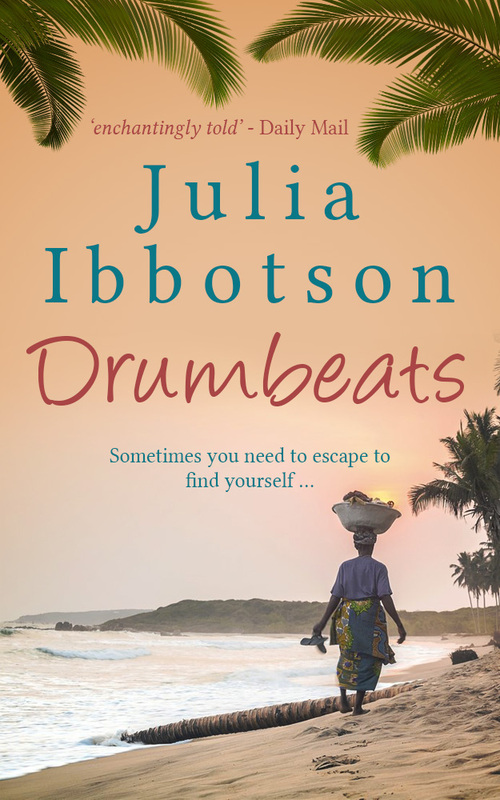 My October competition is to win an ebook copy of Drumbeats. The book is set in 1965-6, a decade I love to read about – and write about! All you need to do is to tell me (briefly!) your favourite decade and why. 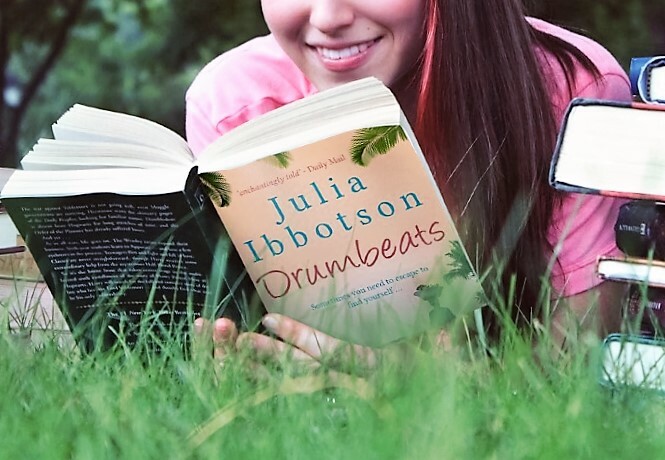 You can either send your message on here, my blog, or via my facebook page (if you are a facebook ‘friend’) at https://www.facebook.com/juliaibbotson or on my author facebook page (Julia Ibbotson Author) at https://www.facebook.com/Julia-Ibbotson-author-163085897119236 I’ll need your email address in order to send you the ebook copy, so you can message me privately via my website (see homepage) or PM me on facebook. The winner will be chosen at random by ANO.